Today's post is a another Wishlist Wednesday post. This week's edition is a feature all on Make Up Revolution. I love their products, they're so affordable and great for the money! I have been lusting over some of their items on the website and I thought I'd share them with you today. 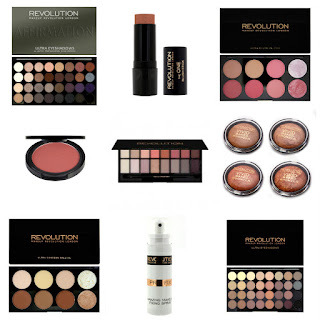 You can purchase all Makeup Revolution products from Superdrug stores or they have their own website too. Do you guys have any recommendations? What do you love from Makeup Revolution?